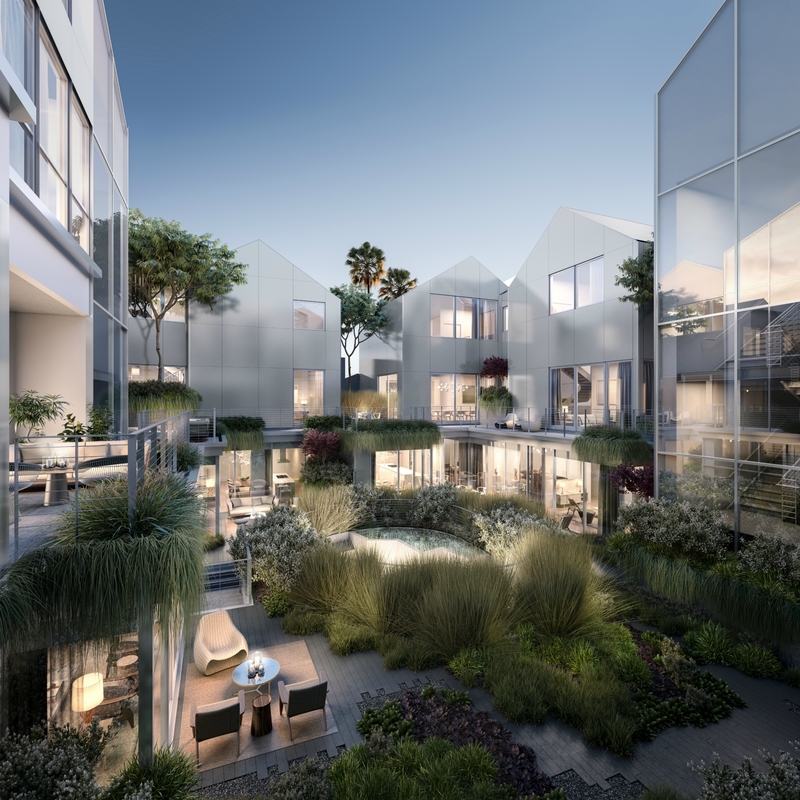 Imagine some otherworldly being extending its arms and sweeping together an urban neighborhood’s low-slung homes and tidy landscaping into a compact, block-size hill. An irregular row of rooflines pokes up among trees that tower several stories off the ground, and lawns are pitched vertically. 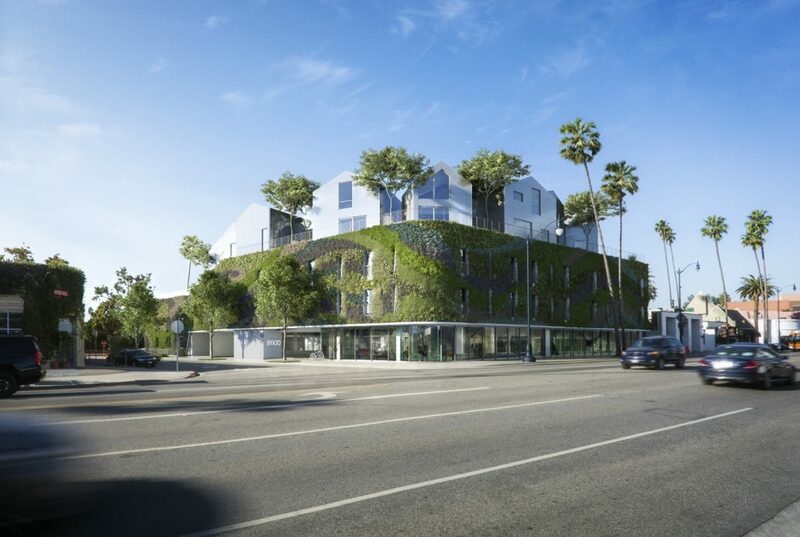 It’s a surrealistic vision, and it’s coming to life at the southwest corner of Wilshire Boulevard and La Cienega in Beverly Hills. Ma Yansong, the 43-year-old founder and principal partner of MAD Architects, is constructing the latest iteration of the city of the future: 18 residences—villas, condos, townhomes, and studios, all made of white glass—ringed by a 7,000-square-foot living wall (the largest in the country, according to its designer, Laguna Beach landscape artist Scott Hutcheon). Its name? Gardenhouse. When the quasi-circular village is finished later this year, it will exemplify the same rule-breaking approach that the Beijing-born Ma used to shape a Chinese opera house like a tentacled sea creature and to conceptualize Canada’s Slinky-like Absolute Towers in Ontario. Though the Beverly Hills project is his first in the United States, it’s not his most important. In March, Ma entered the ranks of international starchitects like his hero, Frank Gehry, when he joined filmmaker George Lucas for the ground-breaking on what may be Ma’s career-defining work in the West: the $1.5 billion Lucas Museum of Narrative Art. When it opens in late 2021, the structure will look as if an undulating spaceship—one whose shape almost resembles a footprint—landed in Exposition Park (and brought a serene rooftop garden along for the ride). of gallery space and 11 acres of green space, with flourishes intended to engage the imagination. Previous articleWhere to Find Really Good Indonesian Food in L.A.